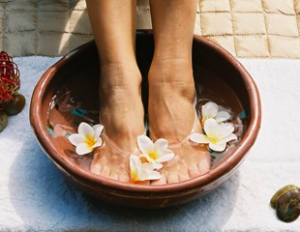 There are several ways to treat Onychomycosis or nail fungus. Generally speaking, the different methods of treating nail fungus could be either topical, oral or with the help of devices and gadgets. In this article we look at the different trends in treating nail fungus from the most common, to the most obscure. These are inexpensive medications and can be easily obtained without prescription as they are OTC products. Topical medications for toenail fungus treatment have very little side effects. The main disadvantage with most over the counter topical medications is the fact that they could well turn out to be a treatment rather than a cure. In other words, when the treatment stops the nail fungus could reappear. Moreover, topical medications have difficulty in penetrating the toenail. The other disadvantage in using over the counter topical preparations is that the product could have a disagreeable odor. It could also cause damage to the surrounding skin. That apart, topical medication like cream and ointments may have to be applied several times a day and that too for longer duration. Ointments containing benzoic and salicyclic acids are generally used for the treatment of athlete’s foot. But they are also useful for treating toenail fungus. However, if these ointments are used for longer periods it could cause skin irritation. Medications containing tolnftate are available as a solution, cream or powder. It can be used for the treatment of toenail fungus but is not that effective. For moderate cases of toenail fungus, medicated lacquer containing the medicinal ingredients ciclopirox or amorolfine has been found useful. These newer topical products have shown a great deal of success. People have found that when nothing else worked, this was the answer. There are no side effects and it is easy to apply. Generally a prescription is needed to buy an oral medicine for treating nail fungus. Oral medications are good for treating toenail fungus. Most oral anti-fungal treatments are once a day pills and offers the possibility of a permanent cure. But in some cases, the nail fungus could appear again. In comparison to topical preparations these medicines are expensive. However, they are increasingly favored as a method of treatment. On the negative side, oral medications could cause skin rashes, severe irritation and sometimes life threatening situations. Some of these antifungal medications could even harm the liver. Oral medications with antifungal compounds reach the site of infection through the bloodstream. Detailed below are a few of these oral medications commonly used to treat toenail fungus. Medications containing griseofulvin have to be used for almost half a year to be effective. On the negative side, these medications have many unwanted side effects. Medications containing Terbinafine is available both as a topical preparation for treating toenail fungus and also as a medicine for oral consumption. The oral preparation is far more effective for treating toenail fungus. The side effects, however, may far outweigh the benefits. Itraconazole: These medications are available as capsules or as oral solution for treating nail fungus. However, Itraconzole has common side effects like nausea, vomiting and abdominal pain. Diflucanazole: It is approved for use in the treatment of toenail fungus especially those caused by strains of Candida yeast. Both Itraconazole and Diflucanazole are effective against toenail fungus but treatment would have to be carried out for three to four months, and constant doctor monitoring is essential because of the side effects. The use of devices to treat nail fungus is a fairly new method of treatment. These devices are used externally on the infected part. An example is laser technology that is increasingly used for treating toenail fungus. With topical medications there is always the problem of the drug being unable to penetrate through the nails. But with laser devices there is no such problem. These devices are based on the properties of “light”. Therefore, there is no possibility of drug interactions as could happen while using topical and oral medications. In laser technology, light is focused from an infrared laser directly onto the fungus. This light from the laser penetrates the nail and the fungus gets destroyed by the heat. Each session of treatment with laser may last for thirty minutes. Laser treatment will have to be taken several times for effective cure. At present, PinPointe Foot Laser is the only laser device that has been approved by the US Food and Drug Administration for the treatment of nail fungus. There is no single method of treatment for toenail fungus that works equally well for everyone. If you have toenail fungus infection, the best thing to do would be to choose a line of treatment in consultation with your physician or health care providers.